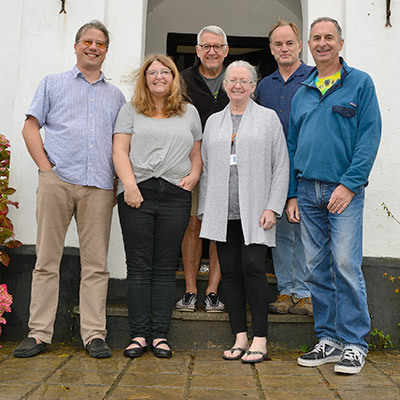 Some of the staff: Howard (transcriptions), Sue (transcriptions), Bob (covers), Marian (transcriptions), Les, Dave (transcriptions). Thanks to many countless individuals for all their help and encouragement over the years with JoniMitchell.com. This website is very much a global community effort, kept alive by contributions - both financial and non-financial - by hundreds of people. Primarily, hats off to Wally Breese, Jim Johanson, and Simon Montgomery for starting it all. Thanks to Borri Alessandro, Laurie Barry, Kurt Joachim von Behrmann, Reuben Bell III, Dave Blackburn, Andrew Blaker, Pip Brown, Barbara Burst, Sue Cameron, Jay Capua, Monica Cardinale, Cassy, Susan L.A. Chaloner, KS Chaterine, Pete Christensen, Richard Cordero, Ken Corral, Jodee Costello, John Daly, Al Date, Christian Davies, Bill Dollinger, Mark Domyancich, Marsha Doyle, Steve Dulson, Scott Dunn, Chuck Eisenhardt, Rob Ettridge, Chele Fedico, John Folden, Catherine Frank, Philip Fulham, Lori Fye, Chris Garthwaite, Penny Gibbons, Richard Goldman, Jerome Gonzales, Sherrie Good, Kenny Grant, Johnnie Gray, Lynn Gruenwald, Bob Hanna, Craig Harris, John Harrison, Judy Haugh, Miranda Heikamp, Janet Hess, Pat Hillis, Gerald Hillman, Erwin Hoffmann, Robert Holliston, Jim L'Hommedieu, Mariana Intagliata, Jackie Jacquemoud, HeatherAnita Janes, Craig Jenkins, Steve Johnson, Dr. Matthew J. Jones, Meriwether Jones, Rob Jordan, Jos, Wally Kairuz, Kakki, LuAnn Lancton, John Lasater, Patrick Leader, Jim Leahy, Martin Ley, Jill Linn, Jason Long, Alison Lucas, Louis Lynch, Mary MacLeod-Jones, Glen Macon, Anne Madden, Vincenzo Mancini, David Mascall, Murray Mault, and Peter Mayer. Tom McDonald, Catherine McKay, Maggie McNally, Sue McNamara, Tino Meinen, Deb Messling, John Miller, Julius Mills, Leslie Mixon, Stephanie L. Molnar, Lindsay Moon, Bob Muller, James Murray, Rich Newirth, Sue Nielsen, Jerry Notaro, R Novosel, Paul O'Brien, Patricia O'Connor, Laura Oppermann, Michael Paz, Mary Pitassi, Eric Postel, Scott Price, Lori Reason, Mauro Regis, Greg Roensch, Les Ross, Edward Ruff, Joni Nelson Rush, Marian Russell, Robert Saaf, Mike Sainsbury, Anne Sandstrom, Barbara Sault, Jeff Schwartz, Mark Scott, Michael Sentance, Sunil Shaw, Fred Simon, Ken Slarty, Ashara Stansfield, Samuel Stone, Debra Sutter, Jonathan Tee, Chris Thiele, Harlan Thompson, Mark Thurman, Frank Tortorici, Catherine Turley, Sean Twomey, John Uren, Mary Grace Valentinsson, John van Tiel, Lynette Virnig, Lex Vroling, Laura Walker, Jacky Walls, Brian Waterman, Julie Z. Webb, Pearl Weisberg, Jared White, Beverly Wolfe, Howard Wright, Jamie Zubairi... and you know there may be more. A special thanks goes out to Raffaele Malanga for all the work he has done on this site over the years. All the graphics and design were created by he and his associate Els van Bloois. Visit his website at Far Studios. JoniMitchell.com is a joint labor of love between Far Studios and FrontRange360.